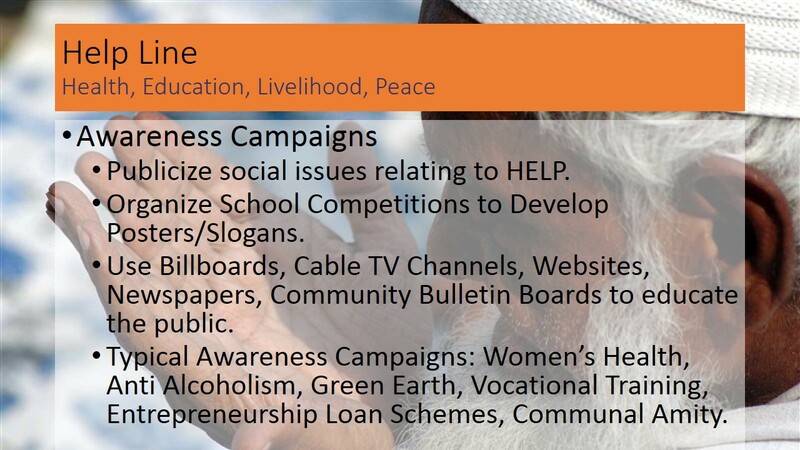 Project HELP Line is an MPN initiative to guide people in need of help to relevant NGOs and Government agencies that can help them. 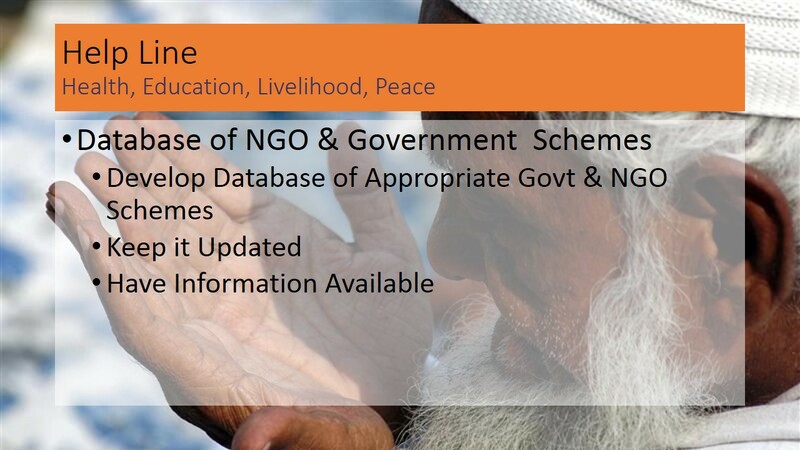 HELP Line will maintain a database of NGOs and Government Agencies and their services and schemes in the fields of Health, Education, Livelihood and Peace activities. The needy can call the HELP Line phone number, check its website or email, or visit the HELP Line office in person to get guidance and contact information of the relevant NGOs or Government Agencies that can help them. 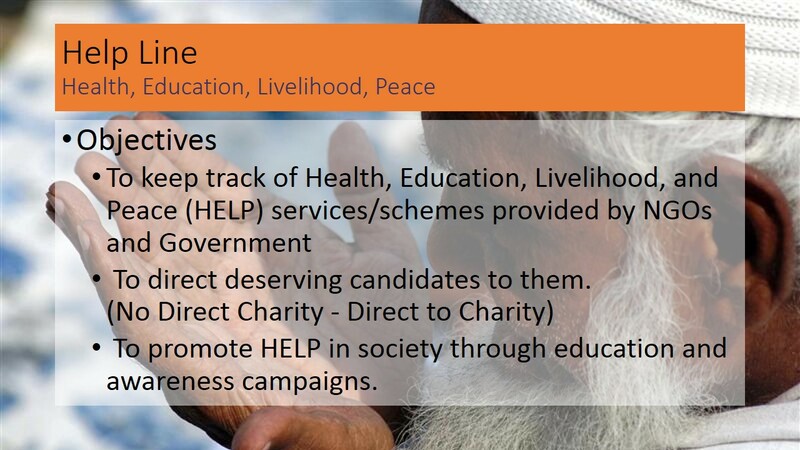 Project HELP Line is being set up because though there are several NGOs and Government schemes that are set up to cater to the needs of the people, the genuinely needy candidates are often unaware of these. 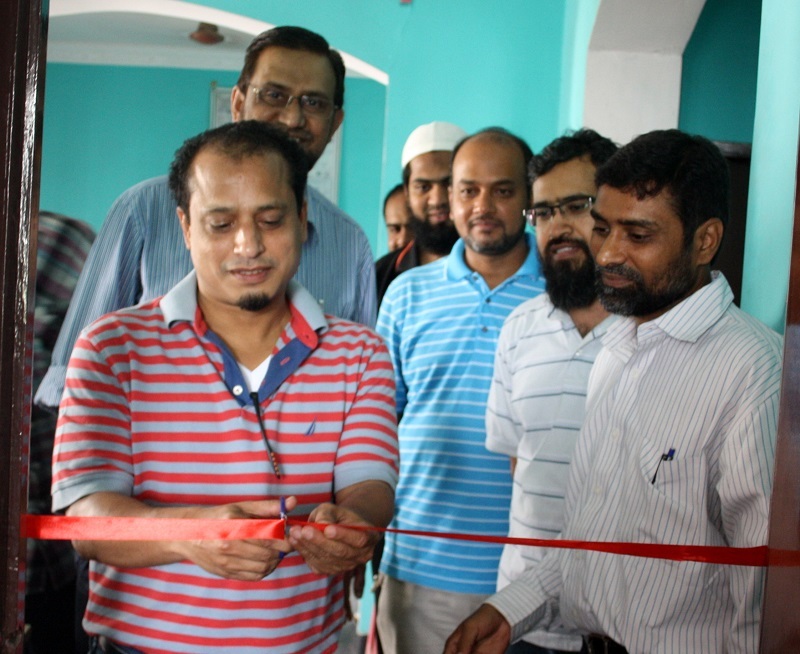 Govt Minority Funds are generally underutilized and returned although there is a great need in the community for these funds. 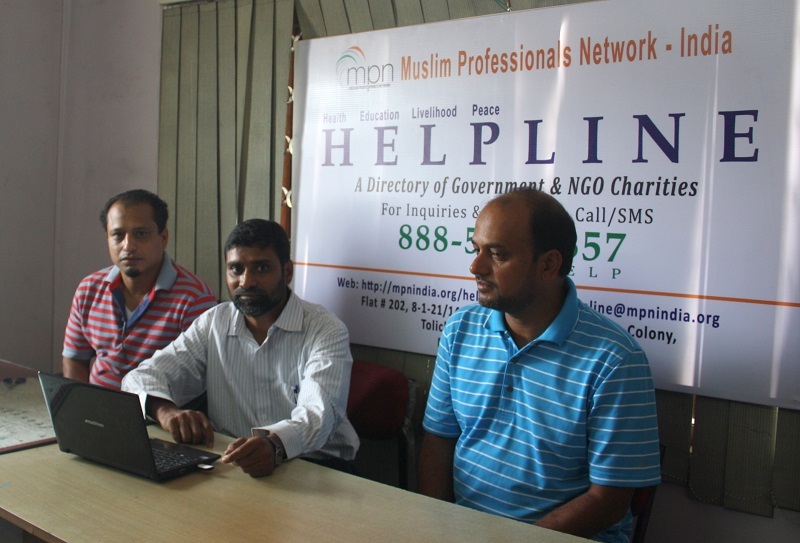 On August 25th 2013, MPN formally launched Helpline.